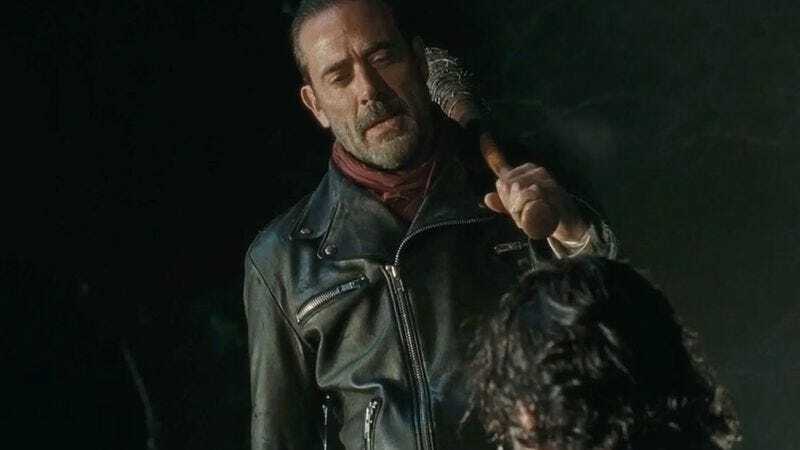 It’ll still be another week before we find out which poor sap got their head smashed in by Jeffrey Dean Morgan’s Negan on The Walking Dead, but at least we know one survivor that’s going to make it out alive: The Walking Dead itself. As reported by Variety, AMC has ordered an eighth season of the series, along with another year of Chris Hardwick’s Talking Dead post-show discussions. The next season will be 16-episodes long and will premiere “in late 2017”—which probably means it’ll be about a year from next week. Hopefully by then we’ll know who got killed in the inevitable cliffhanger at the end of the upcoming seventh season, unless AMC realizes how much people hate these “who died?” stunts by then. Or maybe by season eight The Walking Dead will finally stop teasing us and fully transition into a TV show about normal people living normal lives as they’re safely secluded from the zombie apocalypse, and nobody will ever make stupid decisions that put likable characters in danger ever again.